getting things done, however, their actions hardly match up. I have come across many such people both in personal and professional life. I have always believed in the following statement: "Actions speak louder than words". What matters is whether things get done. I personally do not give much attention to what is said. I focus more on what is delivered. If you cannot do something it is better to be upfront about it rather than committing to do it. The politicians typically are the ones who are considered to be of the kind who do not deliver on their election commitments. However, you will find friends, relatives, colleagues and even organizations falling in this category. Many do it just to avoid confrontation or to come across as being pleasant. This is similar to pushing things under the carpet to reduce your work for the time being. They do not realize though that in the long run, your credibility is at stake. It is always in your best interest to identify people who do not walk the talk to avoid being in a difficult situation by trusting them blindly. At your work place, it would be a good practice to test how dependable your subordinates are before delegating responsibilities. You need not test them out for work related tasks. Even simple non work related tasks when not done as committed would give you a clear indication of the personality of the person. Ultimately how you are as a person would definitely reflect in what you do and how you do it. 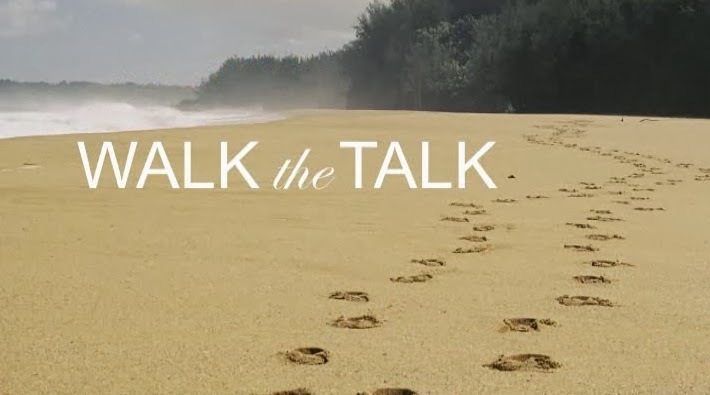 Always walk the talk as you are creating an identity for yourself with your actions. People do not bother much about what is said. For them what matters is whether your actions were in line with what was promised.